Does the content really matter? If you are thing of this question then let’s explain it in this article. It is one of the most parts of the website. It is very widely said “Content is King”. With proper content your website will not get proper traffic, but what your everyday visitor will notice is your content. So make sure your content is fresh and free from delicacy. On the other hand also keep a check that you are offering a great content to the visitors. This article will surely help you write more and more articles and that too in a very less time. One of the most effective ways to promote your website is Article marketing. It helps you to build relationship with the people who read these contents. It’s not always writing more articles every time but it’s about writing good and quality article every time. The content added in a site should be relevant to it. If it does not contains accurate information your website will not get the traffic you want. The headlines of the content should be so catchy that they attract the visitors and make them read the article. If the starting is not good the interest of reading will not be left. A person only eats foods which looks good. So if the starting is good the visitors will definitely read the article. always try to get your content checked form someone else so that the chances of mistakes decrease. One never knows everything as no one is an expert in ever thing as the topics can be on different topics. Link these topics to appropriate references to make it look better. It will also help the visitors to understand what you are actually talking about. If the information you are writing in the article is taken from somewhere else don’t quote it, just simply link it to the source if possible. It is usually thought that writing is easy but writing is not as easy as thought to be. Coming up with right words is very important. Every writer cannot just sit and write articles. Creating the perfect material for marketing or other things and that too in a single shot is not an easy job. If the quality of the content is not good the visitors will never be impressed. Great contents not only mean paragraphs full of information. There are many other things like graphics are contents, Lists are contents etc. In content the general information of the website is presented. A content can never be great if is not liked by the visitors. In short, we can say that content plays a vital role in bringing up the visitors to your website. All a person has to make sure is that the content is a quality content and original. Nice tutorial ... Thanks for your information !! content is very important for all blog.Thanks for sharing this article. hi thanks for sharing this article.content is very important for all blog. .
After many updates of Google the only important thing to maintain our search engine ranking is quality and fresh content. All link building methods are slowly falling down so this is the time to focus on content. 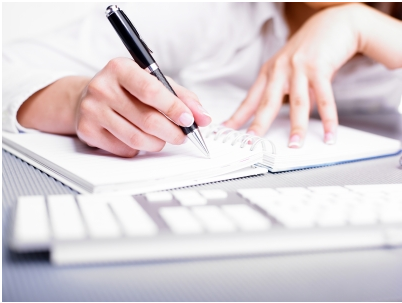 Great tips for writing good content. SEO companies which provide SEO services now focus on content rather than building back-link for websites.